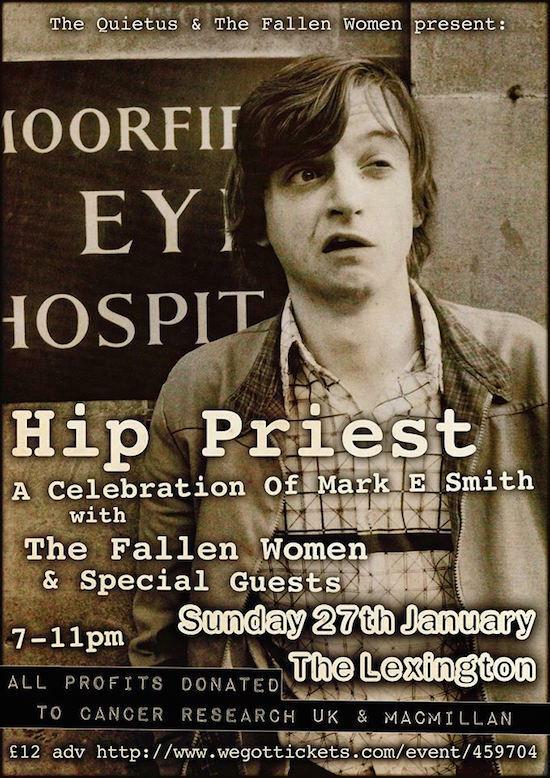 All-female The Fall karaoke band The Fallen Women return to Islington boozer The Lexington this Sunday (January 27) for another charity gig in honour of Mark E Smith. While previous editions have been open to everyone, this time around only guest singers are performing. I’s not every day thought that you'll get to catch the likes of Stewart Lee and Mark Thomas put on their best Smith impersonations, as is planned this weekend. Tickets are available here, and All profits from the gig will be split equally between Macmillan and Cancer Research UK. For more information, check the Facebook event page.